A piece of movie history just sold for a small fortune. 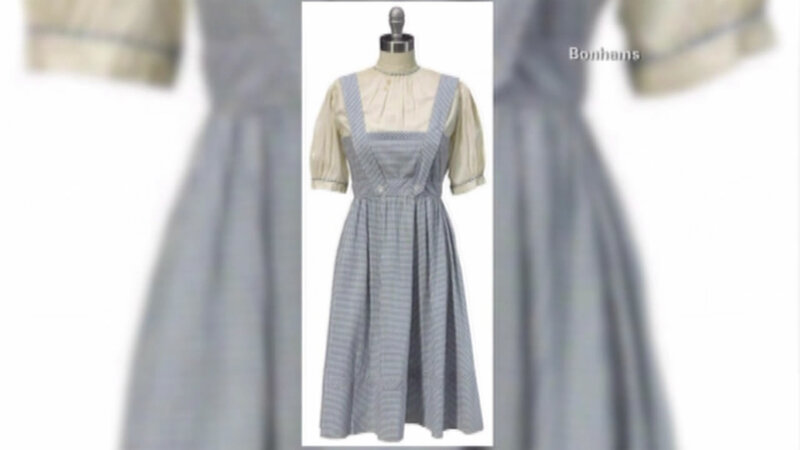 The iconic blue gingham dress worn by Judy Garland in "The Wizard of Oz" sold for well over a $1 million at auction. The dress is one of only two Dorothy costumes in existence. The record price for a costume from "The Wizard of Oz" is over $3 million paid for a cowardly lion costume in 2014.